iPhones’ high market price makes them tantalizing to thieves. Unfortunately (for criminals, at least) Apple also provides ways for these devices to be tracked down if they’re lost or displaced. James Antonio Pradia learned this lesson the hard way this week. On Wednesday, the 27-year-old was indicted for robbing a wallet and iPhone at gunpoint. It seems that he didn’t know about the “Find my iPhone” feature. Pradia is accused of robbing a victim in Killeen, Texas on October 20, 2018. He reportedly confronted his target, threatened them by allegedly cocking a semi-automatic firearm, and then told them to lie on the ground. Other individuals then appeared and took the victim’s wallet and phone. The victim, however, accessed his iTunes account and activated the “Find My iPhone” feature. This allowed police officers to locate the iPhone during a traffic stop. Four people were inside at the time, including Pradia. A search of his home revealed the stolen property. While he admits confronting the victim, he says he only pretended to have a firearm to scare the victim. This seemingly goes against the victim’s testimony. He will be charged at a later date. This is far from the first time that Apple’s “Find my iPhone” feature has been used in this way. 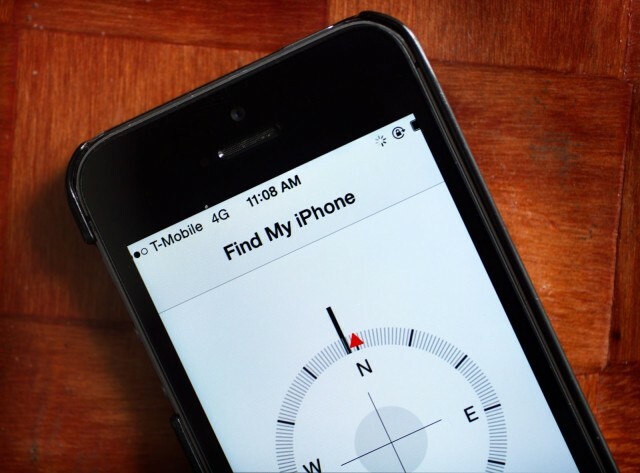 Apple first introduced the Find My iPhone feature in August 2011. It displays the location of iDevices on a world map, using GPS to pinpoint exact location. Since then, there have been plenty of stories of crimes solved as a result of the feature. At last year’s Coachella music festival, a thief was foiled by the feature after stealing 100 phones. More notably, it was even used to save a kidnapped bride from a forced marriage.